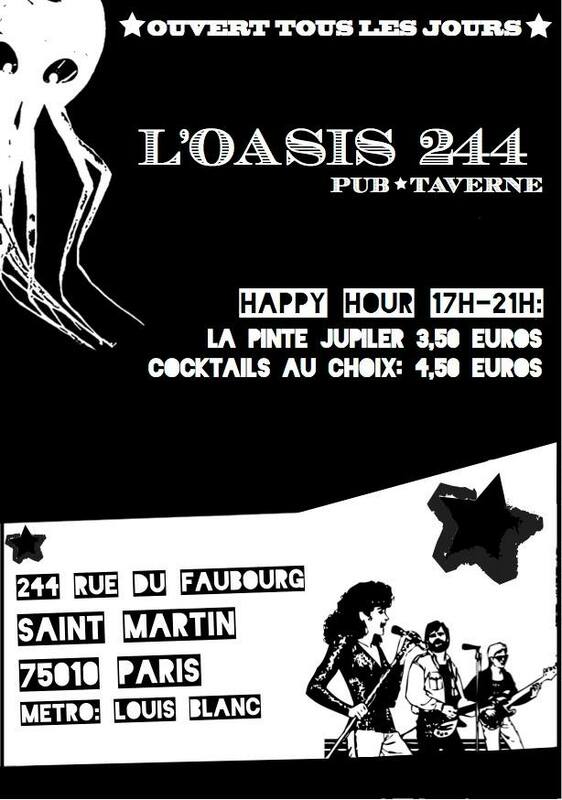 PARIS – It was nearly midnight at the Oasis 244 in Paris again last night when I arrived, so much too late to profit by a full night of listening to John Redford and Stephen Saxo playing their stuff for the customers at this very cool and laid back little bar near the Stalingrad metro. It was too late to have much of any kind of amplification, so vocals and certain guitar bits suffered. But I sure did not suffer while listening to and playing with several old and new acquaintances. Especially meeting up and hearing Wayne Standley playing again. I wrote about Wayne extensively during the Ptit Bonheur la Chance and Tireuse days. But since that venue has ceased to run its open mic, I’ve not seen Wayne playing anywhere. 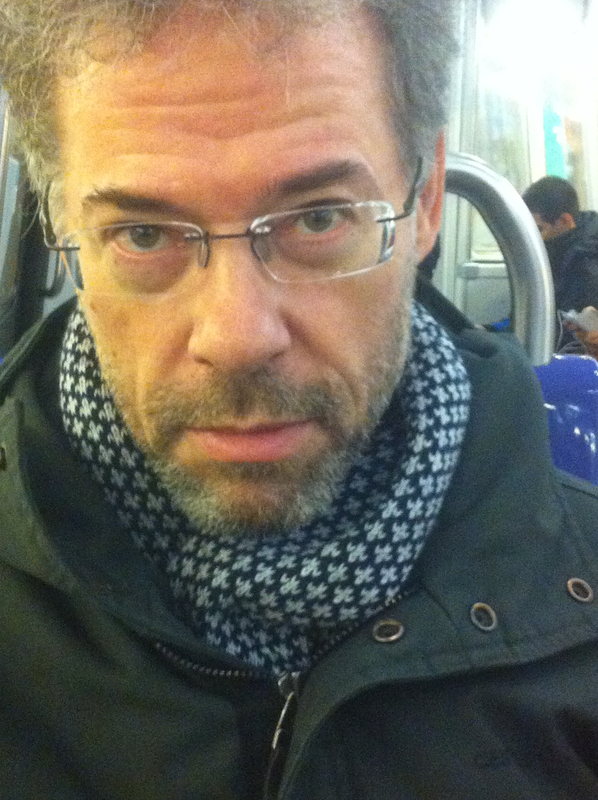 Wayne is a longtime American expat in Paris who has played music all his life here, but maintained a bona fide American country and rock sound. So true and real. And last night Andy Bone joined him on lead guitar and it sounded like we were in the middle of the American midwest somewhere…. Then I got to go up behind the mic – that did not work – and sing a few songs. And when it was time to do my song Borderline, David Hummel leapt into action and provided a fabulous jamming rendition as he took to one of his favorite instruments: A cardboard pizza box that had contained last night’s dinner. David used that for percussion, using his drum brushes to batter the box in the rhythms of Borderline. A fabulous little jam that left me feeling great about the 20 minutes I spent on the wonderful little warm stage of the Oasis 244. Andy Bone filmed it, so catch the video – be aware the mic barely worked, thanks to complaining neighbors. The pizza box, it turns out, is a fabulous percussion instrument in acoustic jam sessions in bars where you can’t make much noise!